Here in the Johnny Thunders Cyber Lounge, we like to sometimes turn up the lights, turn down the music and crack open a book. Listed below are some of the best books you could ever want for your Thunders book nook. 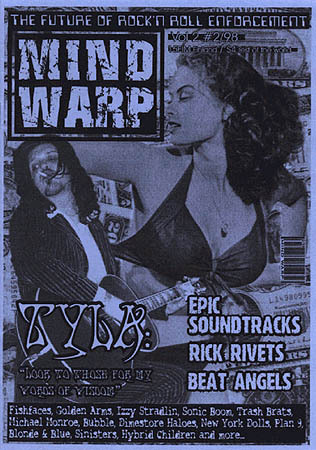 Katz Volume puts out a cool music zine called Mind Warp. 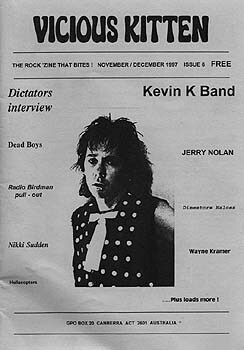 Issue #2 is now out and it contains a great interview with Rick Rivetts (original guitar for The Dolls). Contact Katz at volume@dlc.fi to get a copy of the zine. For an example of Colins writing check out his Jerry Nolan obituary. Cliff now has a web site that contains these articles as well as others.